Nothing can ruin the comfort of a cool breeze on a hot or muggy night like a faulty air conditioner. The fan on your air conditioner blows the cool air that makes room temperatures comfortable. The fan may fail to work for several reasons, including freezing and icing, incorrect thermostat settings and dirty filters. Maximize cooling efficiency by inspecting your unit. This will not only improve performance but will also extend the longevity of your air conditioner. 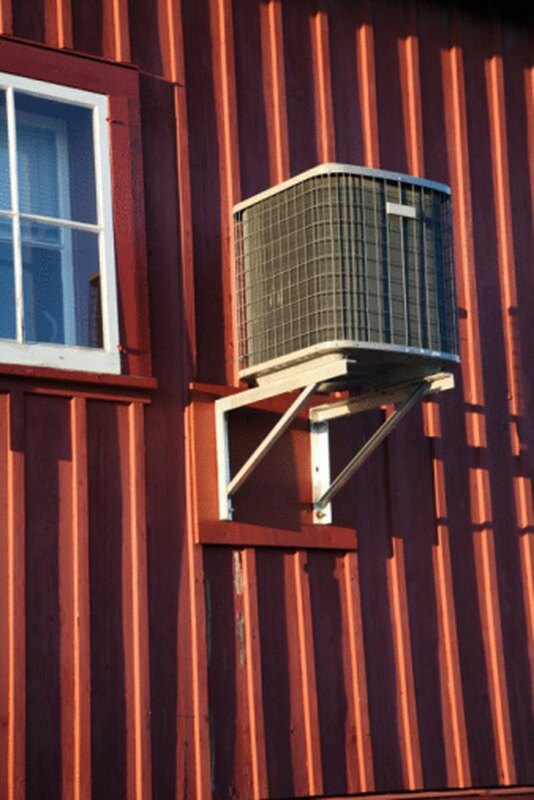 Troubleshooting your air conditioner can improve its performance. Check your thermostat's settings. Make sure it is set to "Cool." Adjust your thermostat's settings, and select a setting that is lower than the temperature on your thermostat's display. Check your outdoor unit. Remove the filter from its compartment. If it is dirty, remove any dirt and debris. If the filter is damaged, replace it. Purchase a replacement filter from a hardware or appliance store if you don't have one. Inspect your unit's vents and air supply and make sure they are open. Remove objects such as furniture from vent openings. Turn off your unit's circuit breakers and then turn them back on. The circuit breakers are usually located in an electrical panel next to your outdoor unit. Refer to your unit's manual if you are unsure where your circuit breakers are located. Turn the fan switch off and then turn it back on. This switch is usually located on your unit. If you don't see the fan switch, check your thermostat's fan settings. Check your outdoor unit for freezing. Turn off your unit for a few hours to see if it will unfreeze. If your unit is still freezing and the fan is not working, contact a qualified appliance technician.